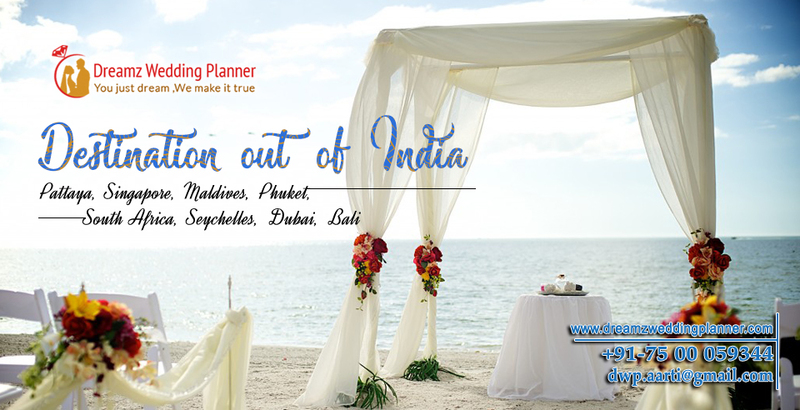 Traveling in a new and exotic destination with all relatives and guests, sparing some quality time with all your near and dear ones and a destination wedding with an international tag, but if you have a query about how to plan a Royal wedding out of India? here is the Answer. Unique royal heritage wedding venues, regal drapes, large chandeliers, red carpets, crystal hangings, floral rangolis and well-dressed butlers roaming here and there. The royal wedding is a unique charm among all the wedding couples, Indian as well as foreigners wedding couples are fascinated with the glittering glamour of royal wedding. Wedding means a celebration, memorialize your special wedding moments forever. When you plan a destination wedding overseas in a different country which is having a different and unique culture and tradition. Blend in that western culture with traditional values of the east this is how east meet west in destination wedding out of India. There are many destinations and wedding venues out of India which is providing opulent royal heritage wedding venues, lip-smacking regional cuisines, Traditional folk arts and music where you can easily plan your destination wedding with all your custom and rituals. Planning a royal wedding in Thailand is not a very big deal as culture and tradition in Thailand is very much similar to India. Thai culture is modern, vivid and rich. Thai ancient Buddha temples, pristine beaches, and lush green forests are enough to give a glimpse of their heartwarming heritage. Thailand is a perfect place to plan a meaningful traditional wedding in Royal Thailand. In Thailand royal wedding floral decorations, like floral chandeliers, floral centerpieces, floral table arrangement, floral arches can be easily arranged and it will give your royal wedding an elegant look. Thai local traditional dress which is called ‘Chut Thai‘ consist of ‘Pha Nung’ or a Chong Kraben, a blouse, and a Sabai can be arranged for the wedding couple and wedding families to give a rich and grand look to royal Thailand wedding. Golden polished traditional decor all around is enough to showcase the richness. Thailand unique art forms and traditional dance performance by an artist to put regal and elegance in Royal wedding. No words to describe lip-smacking Thai food and delicacies which are world famous prepared by expert chefs. Royal wedding in Thailand is like a dream comes true and a perfect blend of eastern and western culture and tradition. Dubai is the land of extreme royalty. Land of golden sand, in the Gulf of the Arabian sea. Dubai is the world famous city known for richness, luxury, impeccable locations. Dubai offers for his guests innumerable of wedding venues for the royal wedding like Burj- Al Arab, which is a seven-star world-class luxury hotel in this world, Atlantis the Palm, Palm Jumeirah, Courtyard by Marriott and many more. 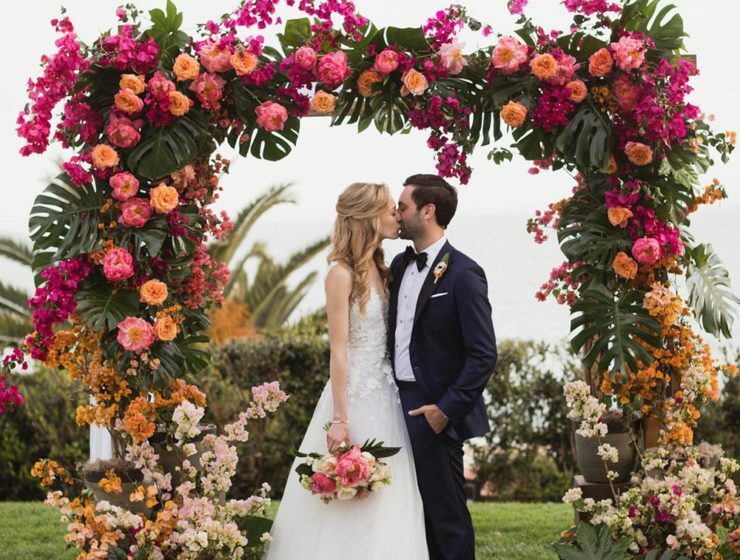 These luxurious hotels provide all royal wedding arrangements like a red carpet leading to the ceremony area, Ivy and flowers wrapped around the gazebo pillars, Cocktail servings to the guests, long floral arrangements on a table, scented hand towels for guests, table flower arrangements with international flowers. Guest chairs in a different style with chair covers. Customized six-course multi-cuisine menu for the guests and champagne with designer wedding cake, apart from that cutlery with golden polish blown the heart of the wedding guests. These kinds of wedding not less than any royal wedding. More than that Emirates Palace in Abu Dhabi is a very luxurious and royal wedding venue in UAE. Make the wedding day a very special by planning a royal wedding in Dubai and UAE. Bali, Indonesia is very close to Indian culture, a heartwarming and mesmerizing destination for Royal wedding. Bali is a very old city in Asia and has a majority of the different community that is the reason Bali has a vivid culture and heritage like Chinese. Indian, Muslim, Asian. Bali is the real paradise cultivate with the traditional values in it. Bali offers majestic palaces like Ujung Water Palace, Tirta Ayu palace, Puri Gede Palace located at picturesque locations in Bali. 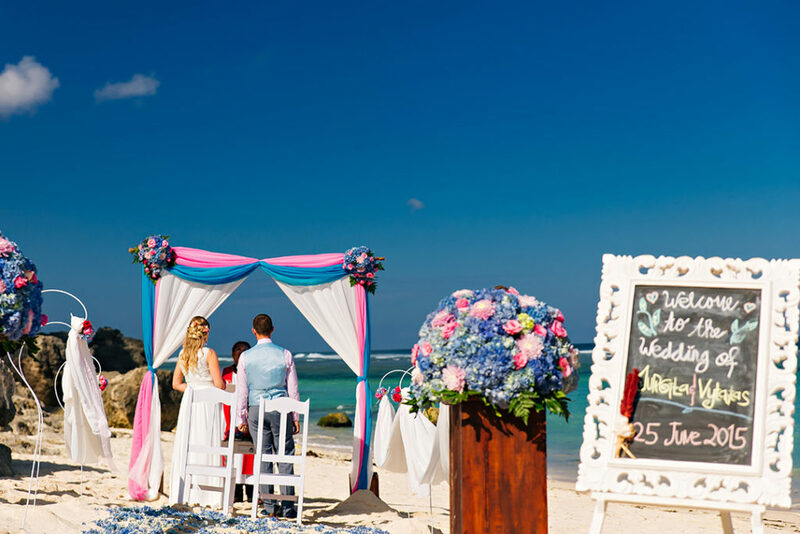 Apart from that Bali offers Private villas, Bali Masari villas, cliff villas and resorts in the midst of nature to arrange Royal weddings in Bali. Bali is blessed with in numerous wedding venues in an architect with Dutch, European, Chinese colonial styles. These palaces ambiance with royal historic past. Bali is an exotic location which provides the unique decor of tropical flowers, lush greenery hues, and antique Balinese art, Dutch and European art. Bali seafood is delicious to pamper the taste buds of wedding guests, Jimbaran seafood, barbeques, crafted food decoration, a varietBig Fat Royal Wedding in Agra: Grand Venues of Hotel JAYPEE Palace Agray of rice are enough to enrich with Balinese taste. Bali is such an ideal destination for a Royal wedding. Destination Wedding in Dubai: Live Your Dream Wedding in Extreme Luxury.